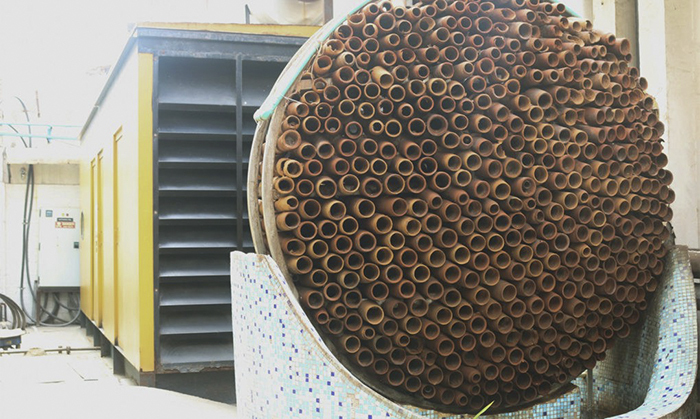 Air conditioners may be contributing to global warming, but in blazing hot countries like India, they’re simply a necessity during the summer. 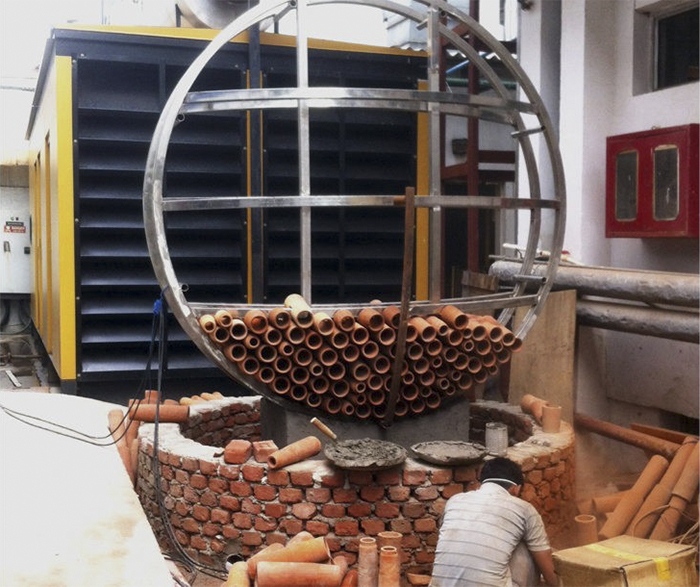 Ant Studio, a design company based in New Delhi, has built a boundary-pushing structure that cools the air without using a single watt of electricity – and looks like a modern art installation at the same time. 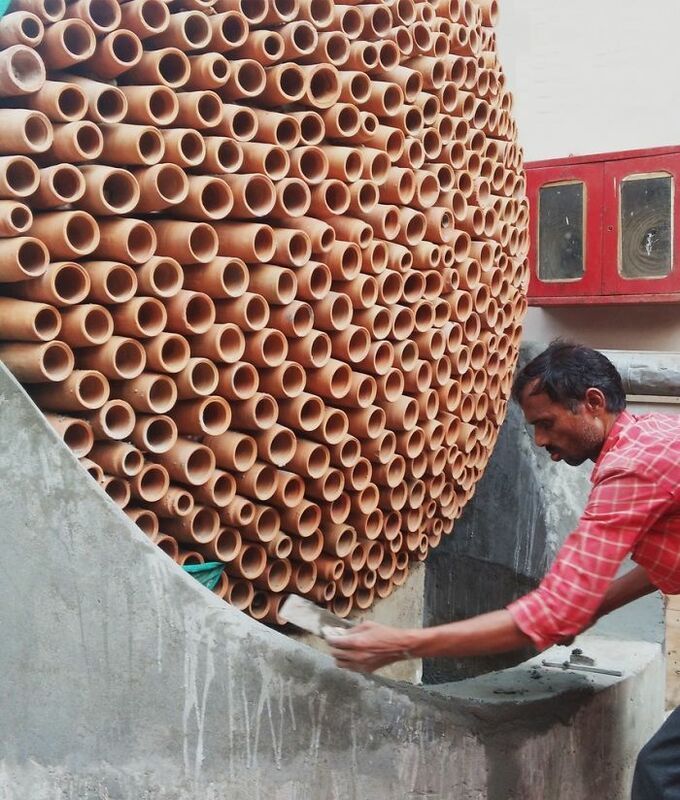 Pairing up with Deki Electronics, also based in India’s capital, the Ant Studio team used a circular metal frame to bind hundreds of terracotta clay tubes, creating the Beehive. 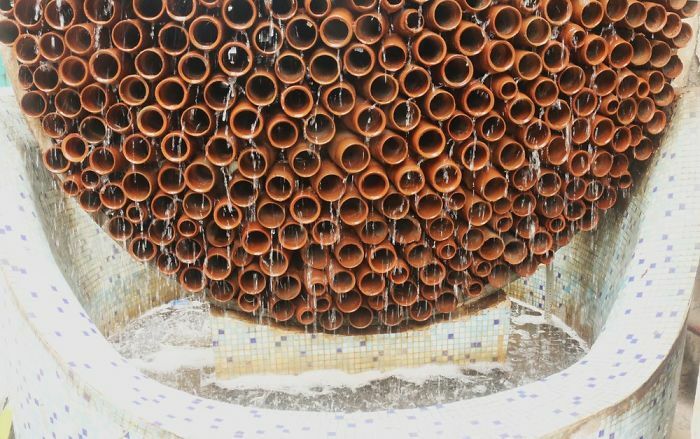 When soaked, the terracotta tubes absorb the water, and evaporate cool breezes as warm air pushes through them. 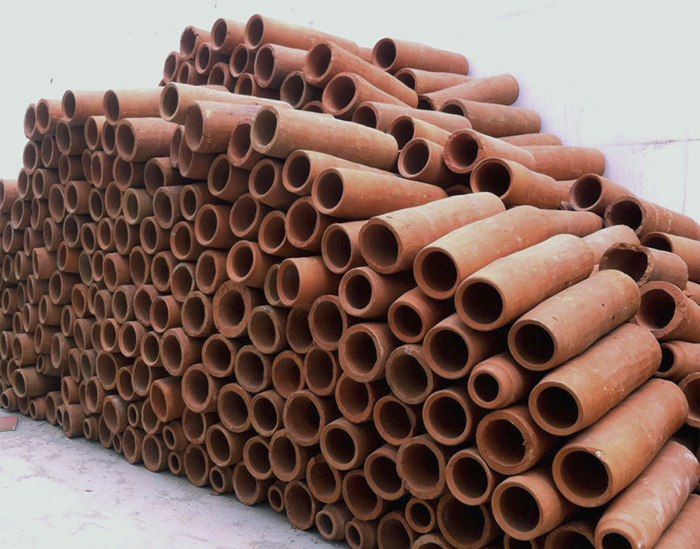 It’s low maintenance, economical (due to the low cost and high availability of clay), and kind to the environment. 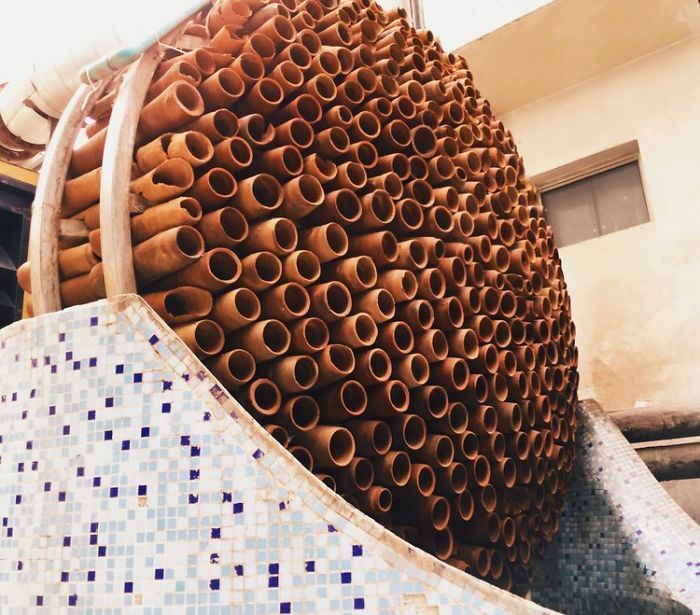 “As an architect, I wanted to find a solution that is ecological and artistic, and at the same time evolves traditional craft methods,” Monish Siripurapu, founder of Ant Studio, told Arch Daily. 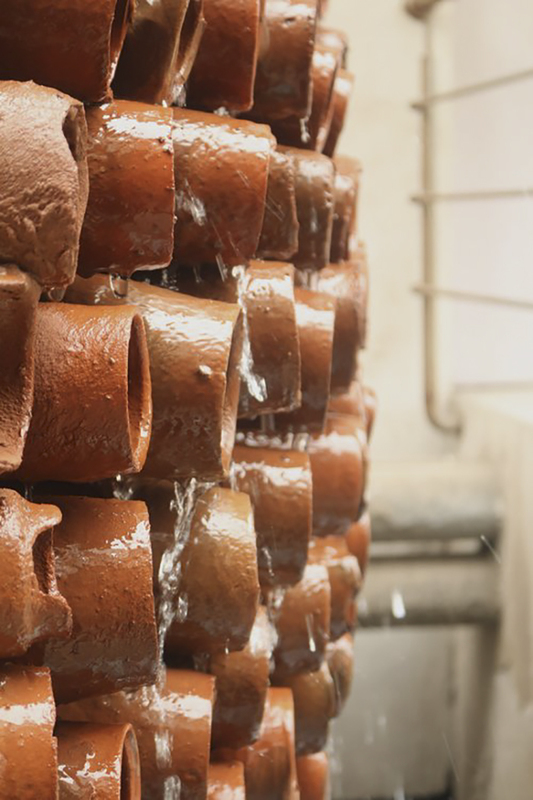 Feasible, functional, and fashionable, the Beehive is truly cutting-edge. Would you have one installed in your home? Scroll down to see it for yourself, and tell us the comments at the end.